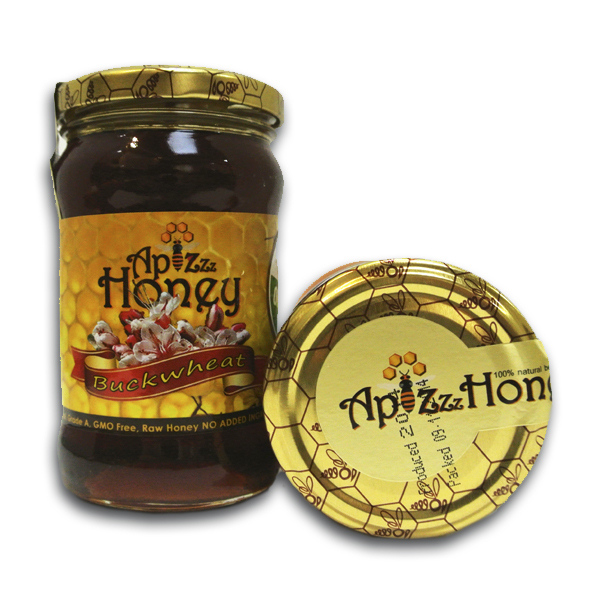 Categories: ApiZzz Honey, Raw Buckwheat Honey. First let’s talk about what “Buckwheat” is, Buckwheat is neither a grass nor wheat. It is in fact a fruit related to rhubarb and is one of the first crops cultivated in the United States. Buckwheat was sometimes called beechwheat, because its seeds look like small beech nuts. Buckwheat seeds are also used in making gluten free flour. From about July through thru October, hives are place in buckwheat fields. During that time the honey collected is Buckwheat honey. 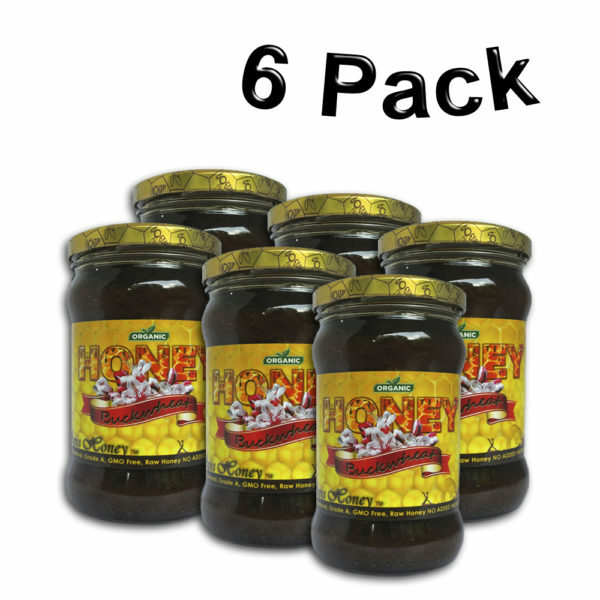 It has a deep, dark brown color, pungent, strong molasses like earthy flavor and recent studies have shown it to be more effective than over-the-counter cough syrup for treating a cough. Compared with lighter-colored varieties, buckwheat honey isn’t as sweet. The basic composition and nutritional profile of all types of honey are relatively the same, but buckwheat honey has higher concentrations of macroelements, trace elements and anti-oxidant compounds. Buckwheat honey is recommended to improve the restoration of bone fractures, in postoperative period, with anemia. 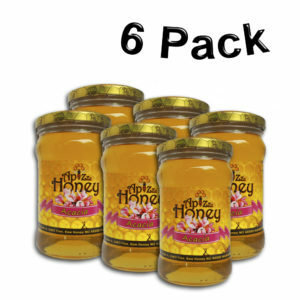 This type of honey enhances the percentage of hemoglobin that increases the number of erythrocytes, as well as other parameters that normalize a blood conditions. In overall, buckwheat Honey is a Natural Immunity Booster. You can decide how you want to consume the honey. Try adding it to your warm tea in the morning or maybe just have a spoonful as a delicious way to start out your day. 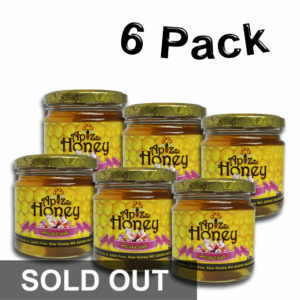 However, if you are planning to buy buckwheat honey for its health-benefits, it must be raw buckwheat honey because it has not been heated or filtered. 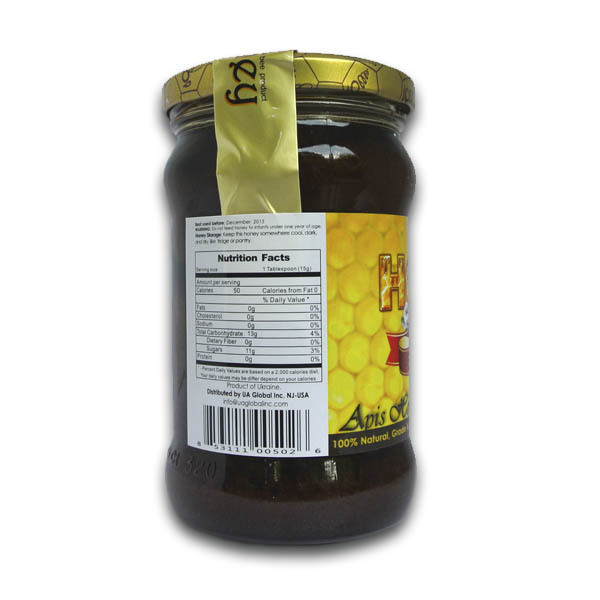 Be the first to review “Buckwheat Honey 400g/14.11oz” Click here to cancel reply.